End of the year reflections and thanks again! Here we are, today it is the last day of 2012 and as usual it is time for reflections. What an amazing year it has been. So much expectations for the “home” Olympics in London and fantastic results not only in terms of sporting success but also for the feel good of the nation. Also, another year of blogging is gone by and the number of visits is increased again. 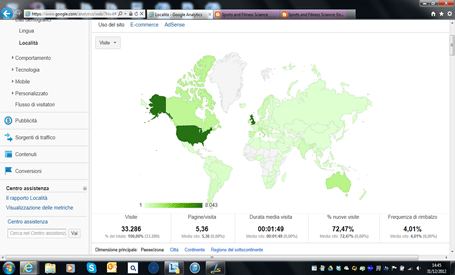 In fact, this year the blog received 33,286 visits from 157 countries. I am still amazed by such interest but also very proud of contributing to the development and sharing of knowledge related to Sport and exercise science. So, here is my thank you to all the readers. I hope readers find this blog useful and I will try to grow it a bit more in 2013, trying to update the theme and trying to develop more content with practical applications for coaches and sports scientists working in the real world of sport and physical activity. I did not manage to publish much on this blog, less than 20 blog entries and a couple on my employers’ blog. It was a very difficult and stressful year. However all the hard work, the hours spent planning and executing the various projects in the lead up to the Olympics and the support provided during the London 2012 Olympic Games has been a journey I will never forget. Not an easy ride, but what an honour to be part of something so big! 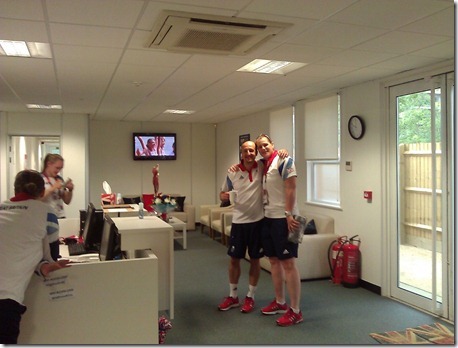 Most of all, it was a rewarding experience to be part of a thriving scientific community which was working hard to provide our athletes with the best possible resources to compete in London. The London Games were a truly amazing experience. 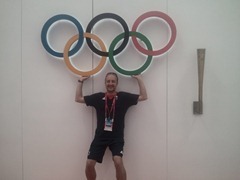 The Olympic Village was incredible, well built and really a great place to work. We managed to design and run a fantastic facility for our athletes and staff to be able to prepare in the best possible way for each competition and recover faster between competitions. The place had a great atmosphere and it was brilliant to be there to support not only our wonderful athletes but also the incredible coaches and support staff working with them on a daily basis to help achieve the dream of winning an Olympic medal. The medals won by Team GB were 65 in the end. 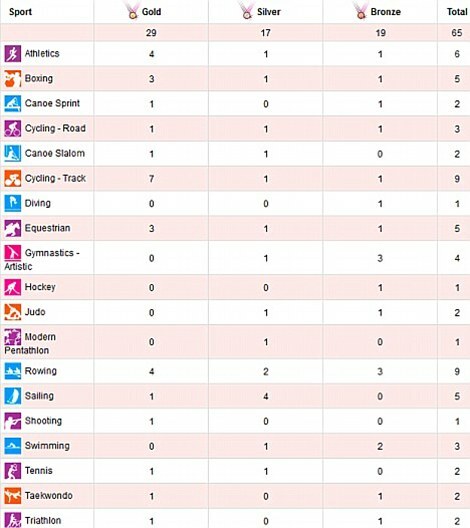 3rd overall place in the medal table, best result ever for Team GB, and most of all Team GB was better than Australia (there is such a rivalry between the two countries that even politicians bet on results and you can see here what kind of things the losing sports minister has to do!). More medals in more sport than ever before. Incredible result. 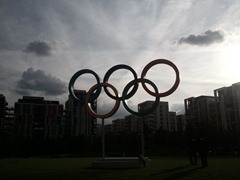 Our athletes were part of a great show organised perfectly by LOCOG with amazing ceremonies, incredible facilities, great organisation, fantastic volunteers and an incredibly positive atmosphere. 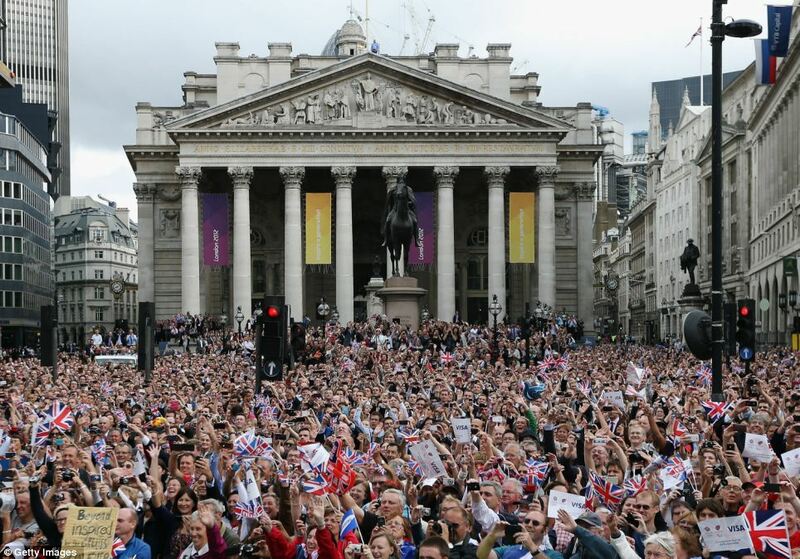 When you see happy crowds like this one…you know that every minute spent working was well worth it. The memories will stay with me forever. Just few days to rest and recover and as soon as I was back at work lot of things happened. The legacy project of the Institute of Sport Exercise and Health finally became reality and a new base will be opened soon to provide research and education opportunities in partnership with University College London and UCLH. Two of my students completed their PhDs and published their first papers (Dr. Zoe Wimshurst for vision training and Dr. Catherine Hesford for Near Infrared Spectroscopy) and have started a career in applied research and higher education and I am sure they will do incredibly well in the future. I also managed to start a new research group at UCL dedicated to Sports and Health Analytics (SHARP). There are some incredible people with expertise in various fields and I am looking forward to a productive few years learning from great colleagues and developing new approaches to gathering and analysing data in Sport. I promise to write more about this exciting initiative in the new year. It was a great year also for the ESPRIT project which is continuously developing innovative technologies and approaches for sport and health. Again, a great pleasure to be part of such a talented group of people. On the sporting front, preparations for SOCHI 2014 are in full swing and projects and activities for our winter sports will accelerate in 2013 to make sure our winter athletes reach Russia with the best possible conditions to be the best they can be. 2013 looks already busy. I have a list of papers to write and submit, projects to start or complete, trips to make, athletes and coaches to work with, people to meet, lectures to give in the UK and abroad, but most of all I know there are loads of things I want to learn and develop. So I know already that it is going to be a great year. If I learn half of what I learnt this year, I will be a happy and lucky man in 2013. With few hours left to the end of 2012 I wish you all the best for next year with good health and plenty of learning opportunities.